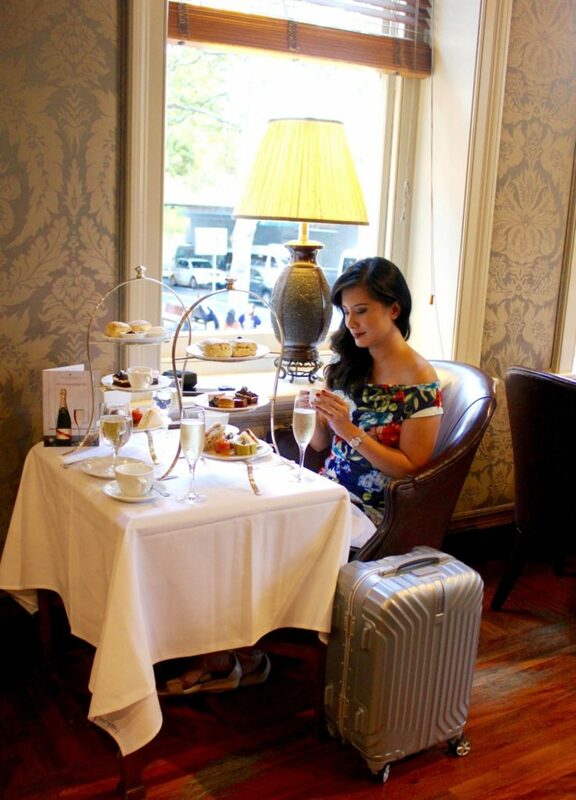 A Sweet & Indulgent Stay at Sir Stamford Circular Quay with Samsonite - Holy Smithereens! Chocolates, shopping sprees, Netflix binge – we all have our own go-to solutions and pick-me-ups when we’re stressed. It helps us go through the doldrums. The month of April was a whopper for me in terms of toxicity and hectic-ness. Red-eye flights, delayed flights, car troubles, 2-3 hour sleeps…these were just the icing on top of the rocky road dessert that was April. By the end of the month, I knew it wasn’t just something that a bar of chocolate or a movie could fix. 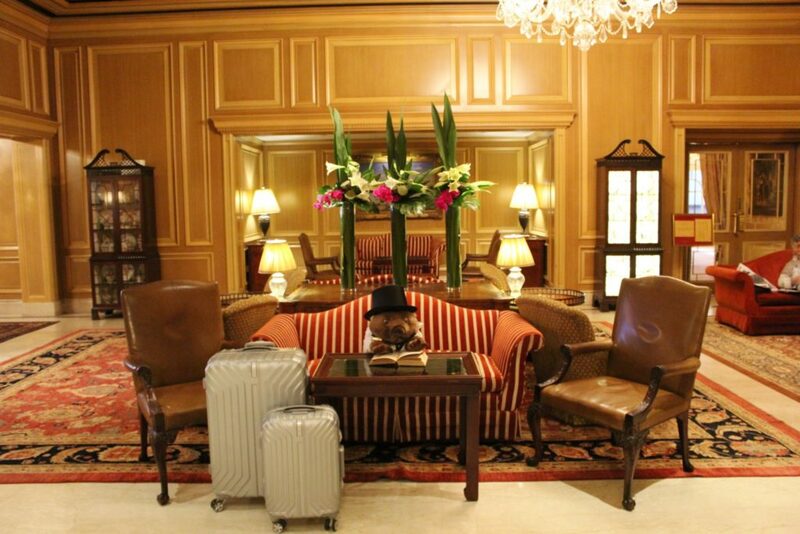 So it was perfect timing that on the last day of April, I had the opportunity to stay at Sir Stamford Circular Quay in Sydney. A perfect way to kiss away a stress-filled month! When it comes to a central Sydney location, you couldn’t be in a more ideally situated hotel than Sir Stamford at Circular Quay. Most central hotels in Sydney are located in extremely busy streets. 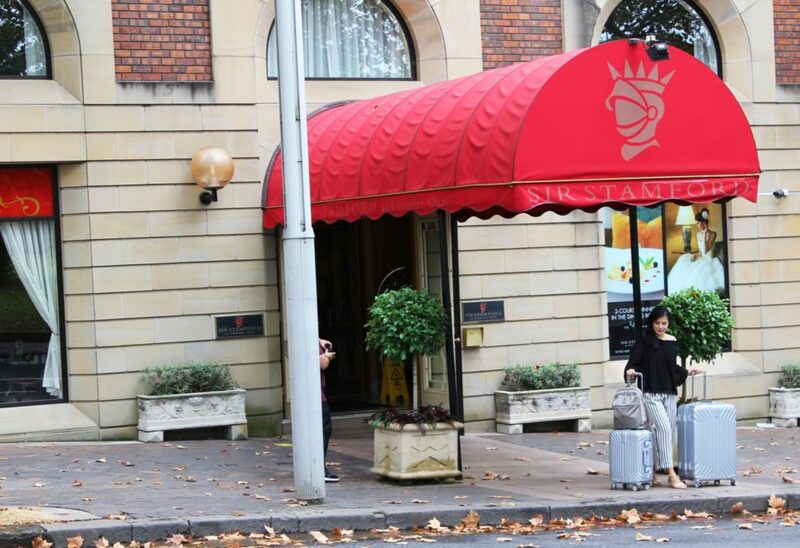 Sir Stamford at Circular Quay is quietly located in Macquarie street, away from the hustle and tourist crowds of the main streets. Yet, it is also just a quick walk to Circular Quay (less than 5 minutes) and also faces the Royal Botanic Gardens. 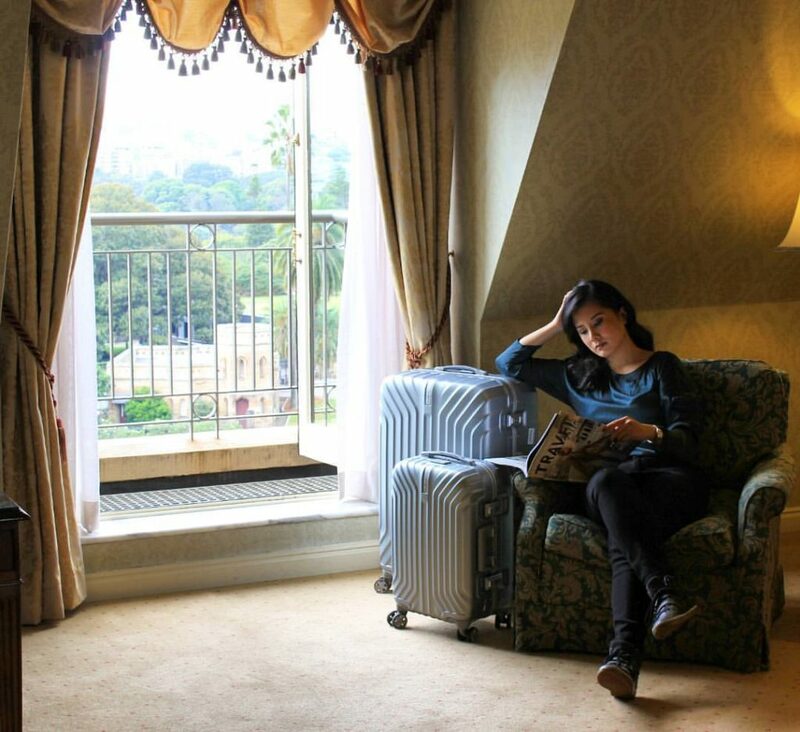 Stepping inside the Sir Stamford Circular Quay is like being transported to an entirely different world. With 105 guest rooms and 15 suites, the hotel building dates back to the late 1800’s and is listed with the National Heritage Register. The hotel is filled with 18th century Louis XV and Georgian antique furniture and also houses one of Australia’s largest private collections of fine art. In many ways, it felt like playing out an adult-version of “Night at the Museum”, but the hotel also has a lovely and warm feel as all guests are welcomed by Morris, the resident wombat of Sir Stamford Circular Quay. 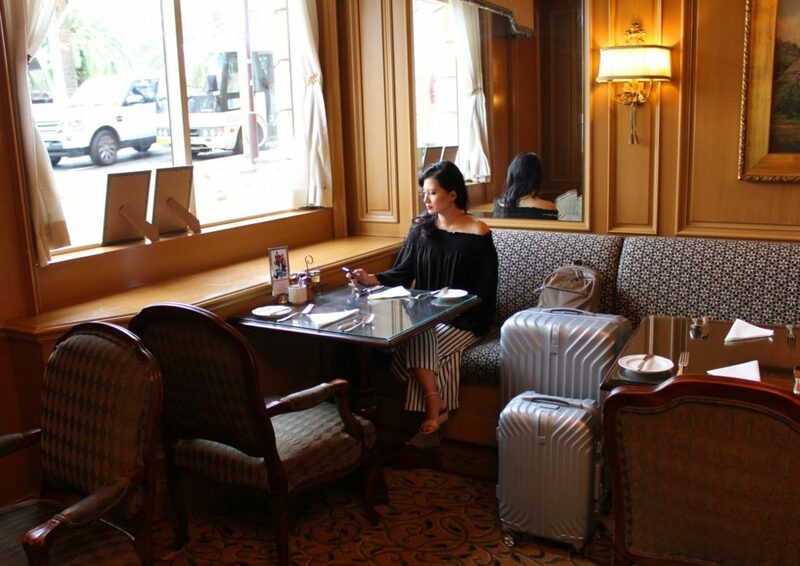 What I like about Samsonite is that they regularly create new and modern styles that cater to different travel needs. 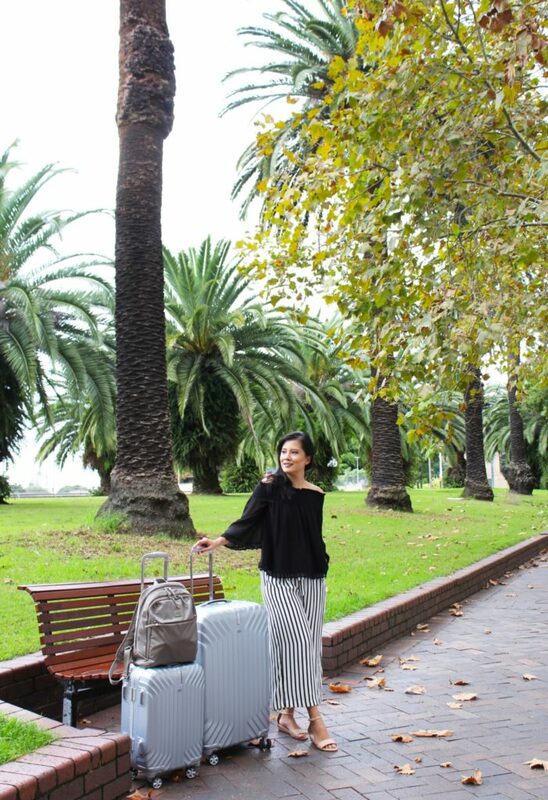 Their latest hardside collection, the Tru-Frame luggage collection, combines high security (with double recessed locks) with a stylish modern design with a matte finish. I took these two with me to Sydney in order to feel them out and do a little ‘test drive’ before I take them with me on a long journey very very soon. 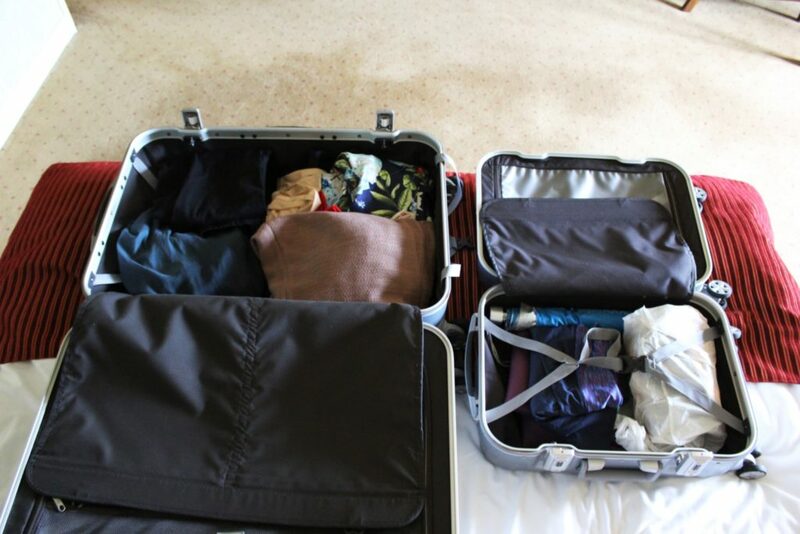 This is my first go with a “snap on” suitcase (ie non-zipper). All my other hardcase luggage are closed with zippers, and while I liked them because they are quite forgiving with space (a must for a heavy packer like me), I am not quite confident how they go in terms of security. 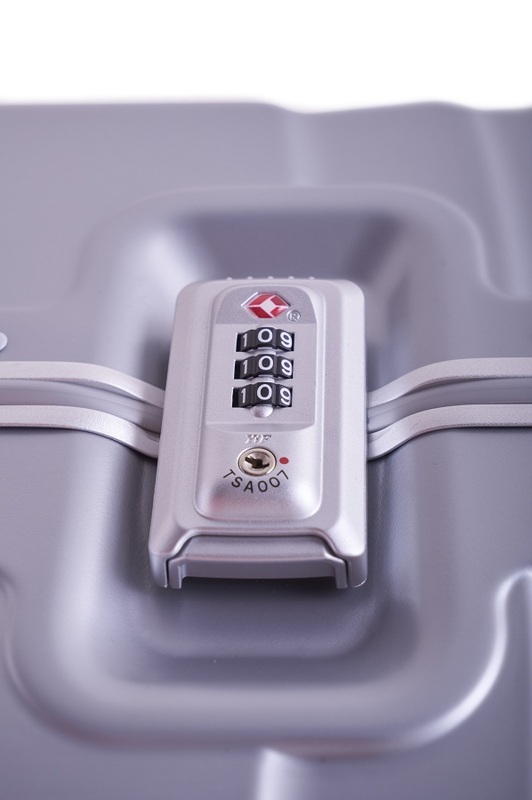 The True Frame luggage features this secure lock combination that also holds the suitcase shut. The luggage comes with hangers (even the small 55cm one) and has great partitions and elastic snaps to hold items in place. Both sides (upper and lower sides) can hold equal amounts of things. With eight wheels per luggage, pulling and walking with the bags are really easy. Eight wheels really make a huge difference (versus four) and I cannot wait to take them to the airport. We had a spacious room on the 10th level that overlooked the Royal Botanic Gardens and also a generous-sized white marbled four-point bathroom. Wi-Fi is not complimentary, and though I would normally shake my head at that, it served well for the purpose of de-stressing. 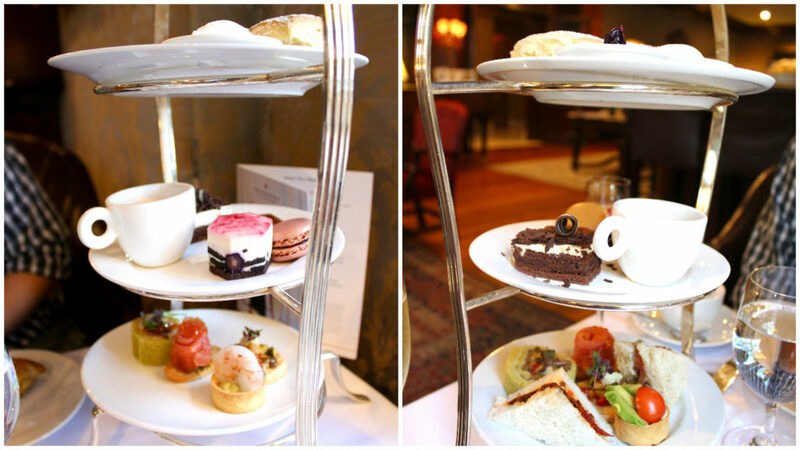 But one of the trademarks of Sir Stamford Circular Quay that has locals and tourists alike queing up to The Bar is their Stamford High Tea. We had their Elegance High Tea, which included fresh scones served with clotted cream and mixed berry jam, Stamford signature curry puffs, savoury canapes, finger sandwiches and desserts with a glass of Mumm Champagne. That’s because we just had lunch about two hours before and we were already feasting on high tea. But hey, this is what indulgent stays are about right? As for me who had the sweeter tooth between the two, I happily engaged myself in the task of alternating between the blueberry oreo cheesecake, the salted caramel macaron, black forest slice, and mousse. I also wondered why a place like Sir Stamford would have a curry puff as their signature dish, and it turns out that Sir Stamford is a Singaporean-owned company and the group proudly takes its name after Sir Stamford Raffles, the founder of Singapore. I loved that their breakfast ran until 11AM which means plenty of time to sleep in, and you can also lazily turn breakfast into brunch. I used to think that short stays / staycations and getaways were more effort than relaxation. How wrong I was. Staycations allow you to relax more because you don’t have an itinerary, or a need to see the city, so you actually spend more time actually relaxing in the hotel. This is healthier than chocolates and Netflix (though I’ll still take them any day), and I’m glad to have found another outlet to help me see the grass greener where I am. Do you find short getaways therapeutic as well? Now that April is behind us, what are you looking forward to in May? 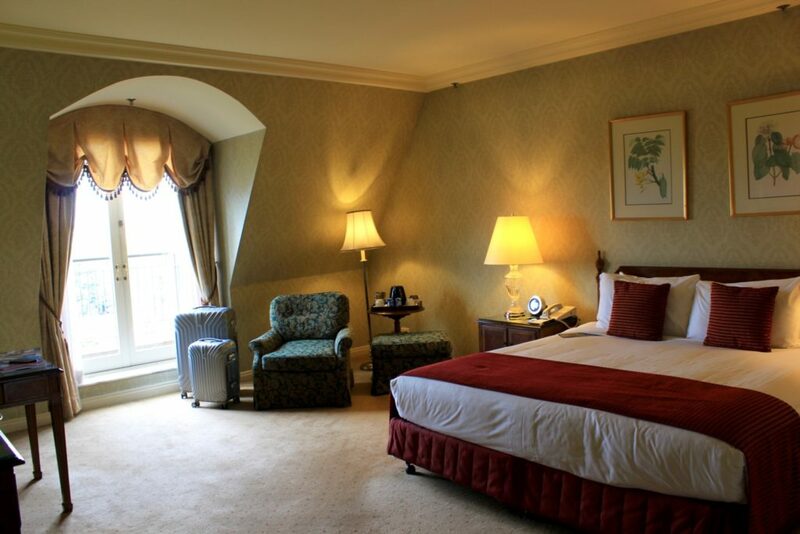 A superior double room at the Sir Stamford Circular Quay begins at AUD 277.98 per night on a last-minute deal special. 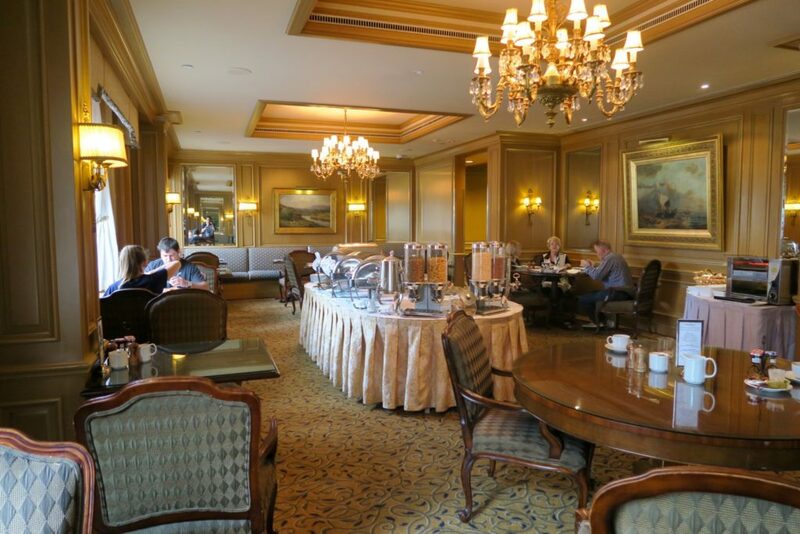 I stayed as guest of Sir Stamford Circular Quay where I was also provided the Elegance High Tea. Tru Frame luggage collection was provided by Samsonite. All opinions and thoughts on products are solely mine. 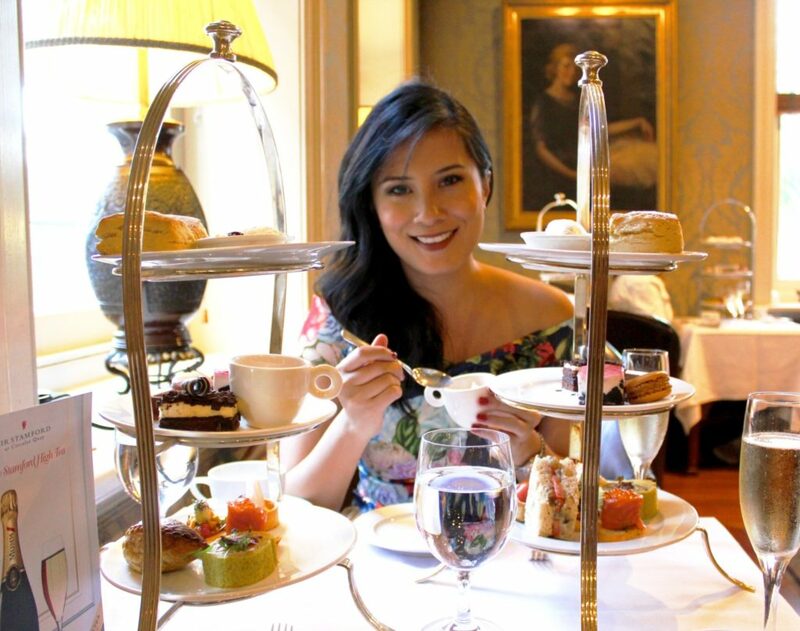 We had high tea at the Sir Stamford and it was glorious! It’s such a lovely old building – what a treat that you got to have tea and a room with a view! I’m sure that’s a sign that there will be a lot of yay in May! Massive fan of a staycation too, I did that at QT Canberra a while back, I didnt even leave the hotel all weekend as it had everything I needed. And the best bit, I felt zero guilt snuggled up in my bed eating room service and switching off from the world.